You’re more than a guest, you’re a friend and neighbor! 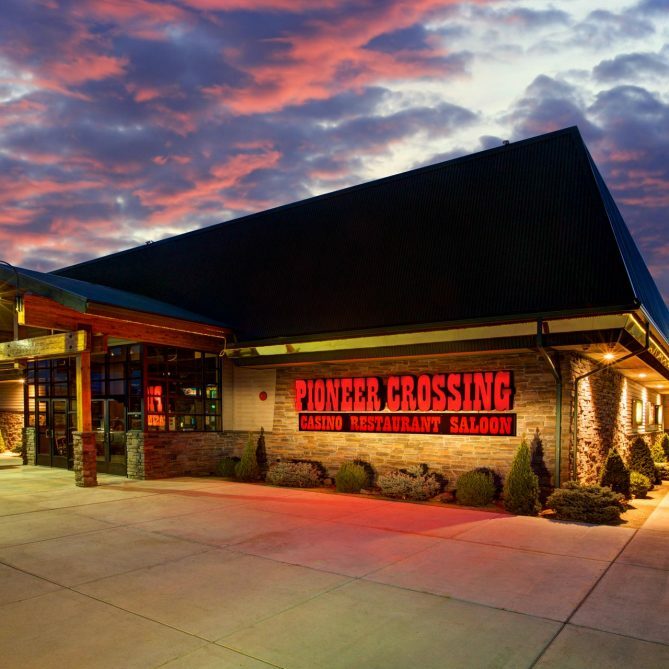 Welcome to Pioneer Crossing Casino in Dayton, the original home of the $10,000 Blackout Bingo. Join us in experiencing the best of gaming and dining! Never miss a game with over 24 giant screen TVs around the property! Join in on the fun at Pioneer Crossing Casino in Fernley with our wide selection of slot machines, featuring all of your favorites. But don’t forget to fuel up. 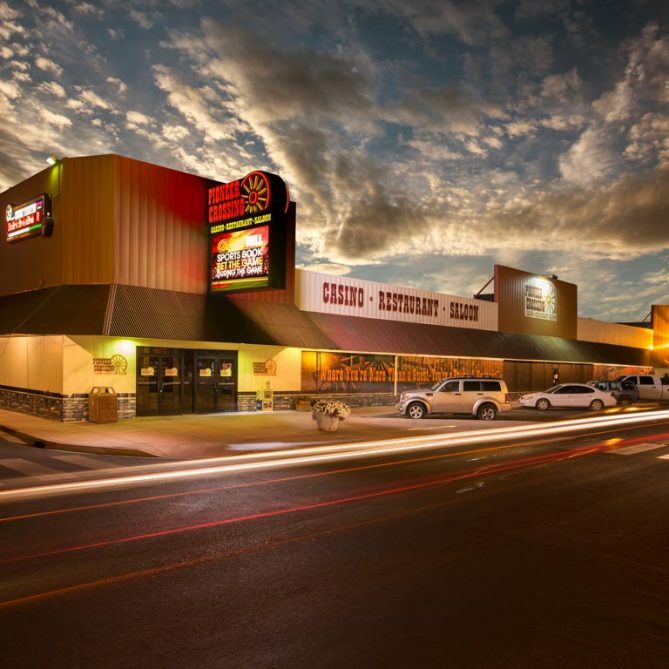 Stop by The Branding Iron Café and Steakhouse where breakfast is served all day. 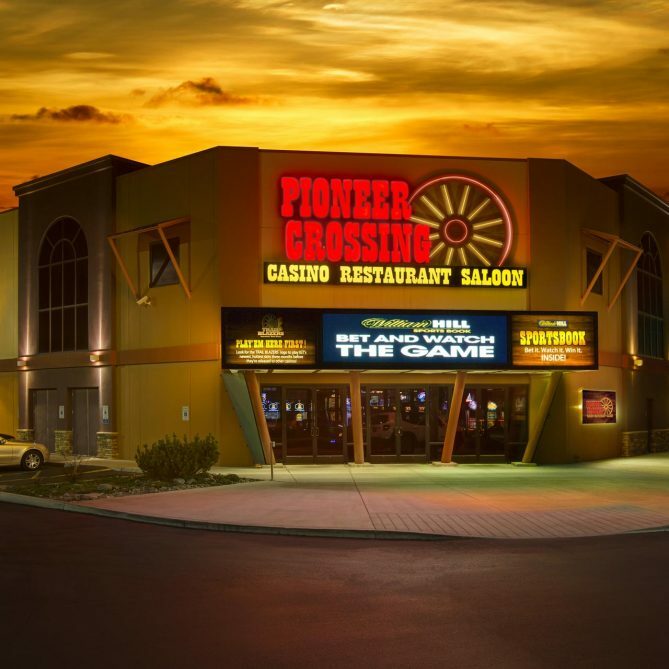 Pioneer Crossing Casino in Yerington not only offers today’s hottest slots, but is also home to the area’s only 12-lane bowling alley and movie theater. At Pioneer Crossing, you’ll find something the whole family can enjoy.